As I sat down to write this piece on some of the less credited and understood sonorous movements in the UK and their affecting encounters with law, snippets of David Cameron’s pronouncements on ‘blitzing poverty’ and ‘bulldozing the UK’s worst sink estates’ transmute my rainy January Sunday a few weeks ago, and immediately there exists a ligature between the Tory government’s newscast, and the content of this piece. Occurring within the same week as the barely scrutinised second reading of the most scandalous and violent piece of proposed housing and planning legislation seen in recent years, Cameron suspiciously justifies the knocking down of peoples’ homes, in the name of helping them, and yet the real story is all too familiar. The extensive Housing and Planning Bill is currently being pushed through Parliament with little time for consultation by all parties concerned in the relevant sectors, set to marketise our housing and planning framework disempowering communities and the vulnerable as never before.1 But of course this is the ethos of our times, it makes no business sense to open up planning laws to make way for genuinely affordable homes, no! Commercial acumen will tell you that selling off dated welfare property on high yield land, combined with a futher liberalisation of planning laws (so that it is nigh on impossible to oppose new developments), will mean more and more land built upon, less supply, more demand, and prices will be pushed up further and further, to line some already pretty replete pockets. Makes perfect sense to the your common or garden neoliberal, and of course, why not? Why not, indeed — let’s just get stuck in. 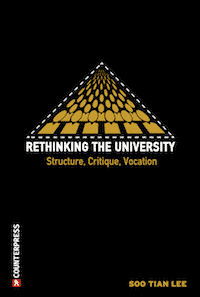 This takes me back to the excellently put description of unapologetic neoliberalism by Naomi Klein, as ‘extractivism’, “.. the wider mentality of making profit without caring much for the consequences” (‘This Changes Everything: Capitalism v Climate’, 2014). 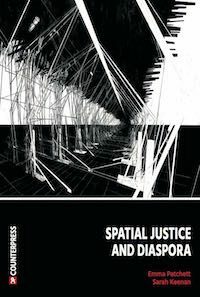 Or as critical geographer Melanie Nowicki has recently assimilated in her ‘resurrection and recasting’ (2014, 786) of Porteous and Smith’s (2001) domicide as a fitting theoretical framework characterising the loss of homes as a result of the UK housing crisis. Domicide was originally defined by the Canadian geographers back in 2001 as “the planned, deliberate destruction of someone’s home, causing suffering to the dweller”. Funny how this rings so true as we look to this new legislative draft and take a snap-shot of the way in which individual property cuts through the spaces in which we exist, whether it be our homes, or just purely places to which we can run and escape from its grasp. 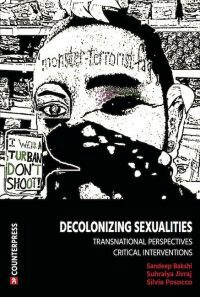 Extractivism and domicide are synonymous with an age of commodification now making it policy to re-enclose resources, like a once great artist desperately clawing at anything as they sadly, and all too clearly, run out of ideas. And it is this re-enclosure of resources that we see not just in real property, but also in the enclosing of forms of artistic and political expression, from legislative decisions as to what is proper or improper art, where you can and cannot protest, legal or illegal music, as a result of and in addition to, the re-enclosure of real landed space and the ongoing iterative commodification of resources. This re-enclosing of the already enclosed marginalises and mainstreams everything to the point where forms of opposition are co-opted, and sold back to us. Gone are the days when we can disappear into the night, disappear into and out of our minds, in and out of moments where we can reproduce ourselves in a pure anticipation of innocent appreciation of life, love and communality. Which brings me nicely to the main focus of this piece, the much maligned and misunderstood underground UK electronic music scene, its dealings with, and oft outside of, legal frameworks — its capitulation with the institution. As a result of a connection made through a friend, I have had the fortune to make acquaintance with some of the voices behind London soundsytem ‘ScumTek’, and seemingly at a time when their message has become increasingly dampened and drowned out by the ‘mainstream’. 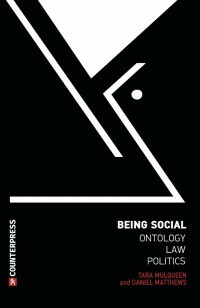 I have chosen to use this term, it is not necessarily something that has been promulgated by those I have spoken to — it just seems to me to befit all the neoliberal standardisation of human experience, human space, property and expression so perfectly – private property as the omnipresent instituting of normativity. ScumTek are part of a long established tradition of electronic music ‘soundsystems’ in the UK since the late eighties: collectives of events organisers, music makers, sound and light technicians that put on ‘free parties’ either on their own or in collaboration with other soundsystems.2 They are, in their own words, are a “party collective holding free music events in bankrupt, non-domestically credited properties (old Carpet Rite showrooms etc), or privately sold ex-government buildings that are awaiting buy-out (Royal Mail sorting offices for instance)”. Their aim, in part, is to highlight the vast amount of empty space in and around greater London “in contrast to the crippling rental prices for pokey rooms, and exorbitant rates and draconian licencing regulations for free mass gatherings”, through organising large scale free electronic music events in abandoned and bankrupt spaces in London. Theirs is a two-fold critique of the commodification of space and the commodification of artistic expression – the commercialisation of human experience and the environment, and the “lack of real, live and authored electronic music in London”. Their concern for countering what they describe as, “the media-industry’s superstar x-factor dj spectacle” through organising their parties has an awareness of the pre-electronic musical era, being “far more akin to a modern electrified version of an old English folk music and barn-dance culture than it is a celeb DJ roadshow or a disco circuit”. The awareness extends further to the industrial mechanisms that exploit their underlying musical activity of “fun with Pure sound”, and the obscurantist techniques of branding and lifestyle-marketing that can make millions of people believe the likes of Paris Hilton are consummate audio artists, and free music parties are acts of domestic terrorism. The choice of term ‘Scum’ as their name relates back to the role of property — ‘scummers’ are private property developers, mortgage payers, holiday homers, second homers as well as bog standard homeowners, high value venture capital property investors — the very chattals of neoliberal capitalism that the Housing and Planning Bill 2016 is so impressed by, and indeed is being legislated for. Scum is therefore, whether intentionally or otherwise, a critique of property relations and the chosen rhetoric of social organisation that we are subjected to as a result of, and by, the instituting of laws to govern these relations. These laws cut through music, just as they cut through space and time. Indeed, as one of ScumTek relayed: “[Over] the years … [we] have all [had] the opportunity and to take stock of the rest of the world, none of us really liked what we saw going on. It´s not that we have a political view to push, we just want to encourage the use of critical thinking and a thirst for all sides of the story”. Scum’s most remarkable ventures have been the cataclysmically huge central London rave back in October 2010, ‘Scumoween’, with up to forty-five rigs playing at the same time in an eight floor fifteen year-long abandoned building pretty much on New Oxford Street, Holborn. Reports were of a couple of thousand or so partygoers, both inside and outside the building with police trying to close the party down early on, but finding their attempts to be futile, the rave continuing for quite some time beyond the weekend. Other parties have been cheekily entitled ‘Strictly Scum Dancing’, ‘Scumthing for Your Mind’, as well as the establishment of a ScumTek Radio. 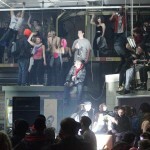 The high profile rave in Lambeth in October 2015, the ‘Squat Monster’s Ball 2015’, again, with around the same in attendance, has triggered some very negative attention from the media, as a result of the stand off with what Scum say to be a deliberately heavy and provocative police presence, some attendees’ violent damage to property has been denounced as contrary to the spirit of Scum, as per their FB page: “Whenever you attend a party, no matter where you are or what the situation, never allow the things we saw the other night to happen again, don’t allow yourself to be caught up in mob mentality .. Those that took things to far … you have caused all who attended to be tarred with the same brush, so many people who brought good energy, who caused at best a noise nuisance are now affiliated with the madness outside”. Unfortunately, and inevitably, ScumTek does get tarred with the same brush, the way in which individual action can escalate, especially given peoples’ ‘heightened senses’and the event’s open policy, meaning no one and everyone can turn up and hopefully act respectfully, but there may be a contingency who do not. This is the risk that ScumTek takes each time it puts on a party, to the point where a Health and Safety or Environmental Health Officer would immediately have kittens upon arrival at such a venue. But then of course they would – raves are kept illegitimate with an incredible concoction of statutory regulation and red tape from disparate (and nearly all) areas of law – noise pollution nuisance, anti-social behaviour law, to large scale event (un)licencing, public order policing, the possibility of criminal damage, and the all pervasive, laws governing property and trespass on land. The striating role of commodity and private property, and the way this cuts through artistic and political expression (or just expression in general) is a central feature of the story of ScumTek, and the little known narrative that runs counter to their negative representation in the media. The parties are certainly gritty and edgy (they are bound to be), and the music is tough, just like its organisers. It is iterative, stapling into the urban air with sound tangibly felt as abyssal vibration. But the spirit of the movement derives itself back to the free love era in the sixties, beyond back in time to the Rabelaisan Carnival, the Upside-down-World, the Situationist détournement, the political reclamation of space of the anti-roads movement (Reclaim the Streets), through to present day ‘Teknivals’ and ‘Temporary Autonomous Art’ all coming together as the conation of political ecstacy (whether participants were so ware of the political bit or not). A quote taken from a recent piece of journalism where a Scum party-goer describes the sound of today’s party protest as “the sound of the government getting fucked with a kick drum” (The Guardian, 2010). Arresting stuff, in my view, electronic music of this type, removing us into the tribal memory of Westernised humanity — an inquisitive and creative community, the cocophony of heartbeats we forget we actually are. Sadly, through a combination of external peturbations of fear and war cast to us in our daily newsfeeds, the likes of ScumTek have been recast and repackaged to the masses as a threat to our security, a threat to our property. At times it is not surprising, given the few who damage the image for the many, I myself have not always been such an admirer of the dark aesthetic attached to ScumTek specifically, the apocalyptic skulls, the horror, preferring the little fluffy clouds of parties of the past, but Scum don’t mess around with trying to paint a pretty picture — and as a result they get attention with their unembarrassed and courageous stance towards authority, law, and indeed, private property. Using the Squat Monster’s Ball as an example. they do not get a representative hearing in the press, and hopefully this piece may add another jigsaw of perspective for them, to a puzzle we are all caught up in, whether we are aware of it or not. Interestingly the scene has evolved from the outdoor to the indoor, and there is no secret as to why. The history of the regulation of ‘UMEs’ (Unlicenced Music Events), is reactive on the side of the law, with little or no case law (to my knowledge at least, which of course is fallible) coming up to the high courts to challenge the decision made by the Superintendants and Constables at such events. Why? Of course, the punishment for involvement in mass unlicenced gatherings on someone else’s land is real for those who organise them, imprisonment and fines, of varying degrees dependent upon which statutory framework is being used, thus I imagine there is little energy left to retaliate on a point of law, once the party is over. The Criminal Justice Act and Public Order Act (CJA) passed in 1994, and subsequent The Prodigy album ‘Music for a Jilted Generation’, returned protest against the legislation from the dancefloor, to the music, and back again to ravers and protestors alike. A Conservative political hot potato, the CJA was an opportunity to flex some ideological muscles around the rave and alternative scene at the time (including travellers and squatters), to the awe of its supporters, and the outrage of those subjected to the force of the statute. S. 63 is considered by some as not only one of the most draconian pieces of legislation in the England and Wales, but humorous in its grey legal straightjacketing of a whole electronic underground, that will always exceed quantification by law no matter how many definitions conjured for Parliamentary amusement6. Why can’t we party on into the obsidian sky? Can we not ‘Reclaim the Night’ as the feminist protest group have propounded, whether for partying or of course, reclaim the night from fear and dread? One word: noise. According to Scum their party noise levels to people in the area were no louder than road noise. However, the environment does of course decide which way the wind blows, and sound travels easier at night (don’t ask me why), so for a humungous rave in the middle of a city, this is going to be difficult to soundproof. Trying to tick all the legal boxes, however, is not the point at all, it is about transgressing legal, spatial and temporal boundaries, as music and party does so well, but also the wish that none of this was necessary. As Sussex Police state in the online ‘Policy for Dealing with Raves‘, “[Rave] organisers, particularly of the larger events, are determined and imaginative people who should not be under estimated. They will go to great lengths to identify new sites”. Yes, indeed they are, and yes indeed, they will. What about the legal frameworks in place for organisers who feel their events have been hi-jacked by opportunist heavy-handed policing, giving a useful spin to hand to the public, of what a terrible group of thugs these ravers can be, as the inevitable extreme replies from frustrated bacchants go viral, leaving the scene misreprented in the media. What about those who are actually mistreated at the hands of police at these events? The Anti Social Behaviour Act 2003, amending the CJA, is deemed to have been drafted in accordance with human rights, as does any proposed police action at a rave have to be lawful, proportionate and necessary given the situation, but how many judicial reviews ex parte underground soundystems do you see making their way to the Administrative Court to defend the disproportionate infringement of their rights to freedom of assembly and freedom of expression under the Human Rights Act 1998? Not many of course, and even just the discussion of convention rights enshrined in our law brings us right back full circle to the slicing role of private property, where rights to protest, rights to express our views politically and creatively, and both, are increasingly trumped by the right to peaceful enjoyment of property of landowners. A displaced paper title owner’s rights to regain access to their land after a rave has occurred in their squatted empty building, will take precedence over any other. It’s almost like the re-enclosure of the already enclosed (such as, going back to the Housing and Planning Bill), the senseless movements of the mainstream as it regurgitates continuously everything back to itself, is a reminder of this legal/illegal divide that only seeks to reify its own falsity, the lie of private property that is sold to the disempowered masses. Why would you want your rave to be legal if it’s going to be like that anyway? Taken from the blog ‘History is Made at Night’, comments on the rave scene relay how “The global spread of Electronic Dance Music has generally been accompanied by the flashing blue light, the siren, and that moment when the music is abruptly turned off and the order given to clear the building.” It goes on to say that the element of illegality is really part and parcel of the whole experience, “the frisson of … add[ing] a pleasurable edge to partying — the thrill of overcoming official obstacles just to get there, of getting one over on the authorities”. And it is this illegality that, as in any other underground scene, can also become normalised and commercialised, just as punk got sold back to us, so has music emanating from raves, as Chris Liberator (of Liberator DJs) commented in recent Vice article on the rave scene and the CJA: “Without the rave and squat party scene, festivals and club culture as we know it would be nothing”. 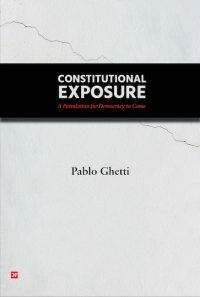 The machinations between legality and illegality, underground and mainstream, might sound far removed from the extractivism and domicide first mentioned in the opening of this piece, but it is on a genealogical spectrum of commodification, and the evasion of such, just to be left alone. 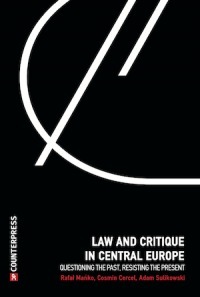 As in beats, there is a repetition in law, it iterates itself until it is heard and convinces itself of its own existence purely through a system of private property, held up by processes of institution, commodification, and mainstreamism that you see even rave culture can be held victim to just as easily as the buildings in which they happen. It is hoped this telling of the tale of just one collective of peoples who like their music so much they’re willing to occupy vacant commercial housing stock — their lonely, empty walls and architectures almost welcoming them in — has further brought home the enclosing nature of privatisation, in all areas of life. ScumTek, its electronic spectacle, and its critique of property, is a reminder of the pervasiveness of capital as it permeates and coagulates human expression, decompartmentalises artistic creativity from political desire, as though the two are separate, yet they are as one. Lucy Finchett-Maddock is lecturer in law at the University of Sussex. I read this article and found it very interesting, thought it might be something for you. The article is called Nowhere Left to Dance: ScumTek, the Electronic Underground and Neoliberal Mainstreamism and is located at http://criticallegalthinking.com/2016/02/03/nowhere-left-to-dance-scumtek/. A Brilliant article Lucy Finchett-Maddock…absolutely well researched and understood the link between privatisation, laws, property and making money out of the laws to suit a few and the rest can hang alongside a beautifully well thought out relationship with the Rave generation, squatters, free parties and the rights to party bringing people together. The Establishment is greedy, scared and fearful of the unknown and here you Lucy, have placed the core vital ingredients between artists, homeless, music, organisers and the underground with the law enforcers, private public ownership debacle and the continuously ponerology of social stigma and free society being homogenised and crushed by the wheels of fear, terror, repeat and drone on about the same problems associated with anyone that appears to be individual and or just in need of a group of people that can put a roof over their head rather than being left on spikes outside….kudos to you….. Cheers! I appreciate the time and effort that went into this. As a veteran of the London illegal party scene(s), both fluffy old and gritty new, this piece gets very close to nailing all the legal issues on the head. (Though in reality, they would take many volumes & years to figure out).